Honesty and Integrity go hand-in-hand, but in today’s world, it seems that people have grown so lax that both of these traits have flown out of the window. 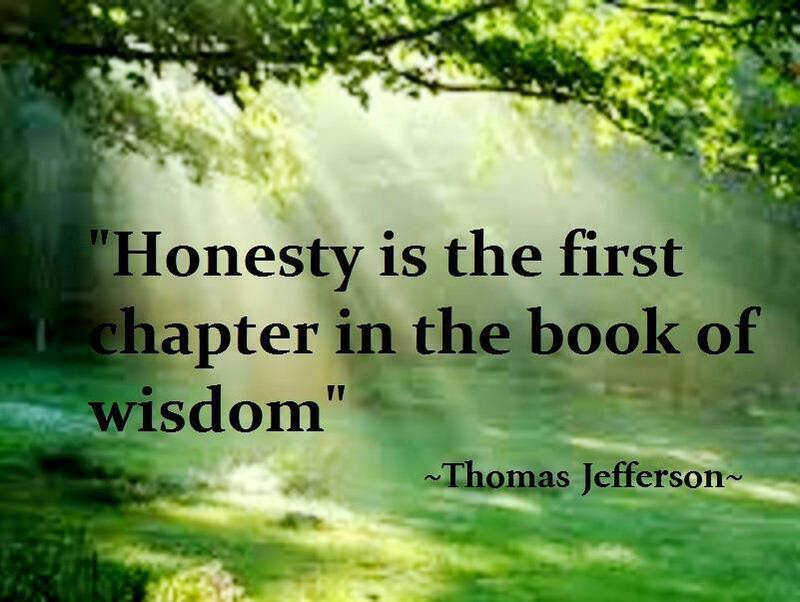 In fact, if you ask the majority of today’s youth to give you the truest definition of honesty and integrity, they may be able to tell you that being honest means telling the truth, but they probably won’t be able to tell you anymore than that. Although most people understand what honesty is – telling the truth – do you understand what telling the truth entails? For example, yes it is wrong to lie, but isn’t it also wrong not to tell the whole truth, or the whole story so to speak? Many people believe that withholding portions of the truth is the same as lying, and if you are doing this, you are not practicing honesty. But, again, if you ask today’s youth about integrity, most won’t have a clue what you are talking about. This is a word that they know how to spell. They have some small idea of what it pertains to, but they have no real grasp on what it means to have integrity, along with honesty. If you have integrity, it means that you live your life in a moral and ethical way. Honesty covers lying, but integrity seemingly covers everything else in life. Once we grow up, and are forced to face reality, we learn that the world can be a cold, hard, cruel place. As we work our way through life, often we lose site of our own values. We are trying to get the bills paid, get the kids educated, taking care of elderly parents, trying to hold our marriage together, and trying to live to see our own retirement years and grandchildren. With all of this going on – seemingly all of the time – it isn’t hard to lose sight of our values, which in turn affects our honesty and integrity, even if we never intended for that to happen. Before you can live your life with honesty and integrity, you first need to have a good sense of who you are, and what you stand for in life. We all have strong feelings concerning certain issues, such as abortion, firearms, and things of this nature. But as big as these issues are, these are the easy ones. Here, you are either on one side of the fence, or the other. But in the small day-to-day things, where do you stand in terms of your values. For example, is your honesty and integrity so great that if you ran a red light, you would pull over the next policeman that you saw and insist that he give you a ticket? The chances are good that you won’t. But if the cashier at the lunch counter gives you too much change, the second you realize it, are you going to give that extra money back? Hopefully your honesty and integrity would come into play, and you would do everything in your power to get that money back to that cashier. In order to live a life based on honesty and integrity, you must know who you are and what you stand for, and you must also police yourself on a daily basis, ensuring that you aren’t doing anything that conflict’s with your own values or moral code. Most people want to truly understand love. In the Bible, God paints a very clear picture that helps us to understand if we really are in love. One of the greatest love stories that we find in the Bible is the Song of Solomon. It is also known as the “Song of Songs.” This is a story that helps us to better understand how to build Godly relationships. This article is full of great tips that will help you to build a Godly relationship before marriage. 1.) Physical Restraint– While we are attracted to our partners, God asks us to practice physical restraint until marriage. If you practice physical restraint in relationship by saving intimate moments for marriage, then you will not only have a healthy relationship with god, but with your partner as well. 2.) Maintain Your Character– Be who you are when you are with your future spouse. Don’t try to be someone you’re not. It is important that both you and your future spouse show your true colors before marriage. This way there will be no surprises once you are married. 3.) Get Opinions From Others– We may not always want to hear what others want to say, but it important that we listen to their opinion. Listen to what the one you love have to say. 4.) 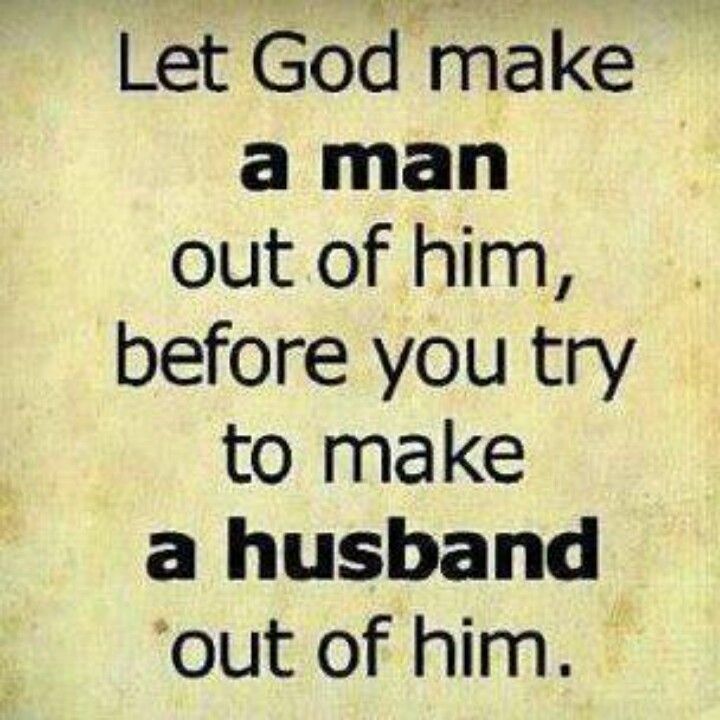 Allow the Man to take the Lead– God asks men to lead in a relationship; however that doesn’t mean that a woman should not have an opinion. Make sure that you are both in this together for the right reasons. 5.) Praise Each Other– Find reasons every day to give each other praise. This will help you to build love and security in your relationship. Tell your future spouse the things that you love about him or her and be there for them during happy times as well as tough times. 6.) Become One in Spirit– Make sure that both you and your partner are in the same place spiritually. You should make sure that both you and your spouse believe in Jesus Christ as your savior. A solid Christian foundation is key to building a Godly relationship. Pre marital counseling is a great way to build a relationship with God and with your future spouse. Ask the pastor at your church for more information about premarital counseling. You could also ask the minister that will be performing your ceremony. Using premarital counseling is a great way to get to know each other better. You may find out some things about your potential spouse that you don’t like. Now is the time to address these issues. Not after you have already gotten married. To gain more insights and tips on dating and relationships visit http://www.singlesstreetlife.com. CLEVELAND, Ga. (TMCNews)–“When you run away from the presence of the Lord, you always go down, and you always pay a price,” said Evangelist Bailey Smith, a Truett-McConnell trustee. Smith recounted the story of Jonah (1.1-17), focusing on four key lessons: God is inescapable, our sins affect other people, be thankful for the storms in your life, and God’s will is life’s greatest joy. “Some of you are probably going the opposite of where God wants you to go,” Smith said. “God knew if Jonah was near the sea, the waves of rebellion and disobedience could wash him back out into the sea of absolute disrespect for the Almighty God; so he shot him way up on dry land,” Smith said. “God did all theses things to show Jonah, ‘Jonah, you can’t get away from me.’ God’s call is inescapable,” Smith said. “He is inescapable for a nation, inescapable for someone called into Christian service and inescapable for an unsaved person,” Smith noted. Referring to different nations and how they’ve tried to escape God, Smith said God wasn’t finished with Nineveh. When Jonah made it to dry land, God was still speaking to him; he wasn’t going to let go of the call he had on Jonah’s life, Smith said. Smith stressed how Jonah’s sin affected others. “Jonah was on the boat, but who was afraid? Not Jonah, he was inside asleep. The mariners were afraid; and because of one man, all the sailors were fearful. “Jonah’s sin affected others and yours will too. While God can forgive your sins, he won’t forgive the consequences of your sins,” he said. During life’s storms, it’s often difficult to find joy; but Smith reminded listeners to be thankful for the storms of life. “Sometimes, when a storm comes, it comes to waken you,” he said. Jonah was sound asleep, but what woke him up? It was a storm, Smith said, and the rocking of the boat.